Life can get crazy and times can be hard, but it’s always nice to find comfort in things that are around day to day. Recently life has found a way to throw a lot at us with car issues, the end of the semester for Loss, the craziness of the oncoming holidays and weird work schedules, but I decided some self care was needed to stay (somewhat) sane. So it’s been yummy hot chocolate drinks and episodes of Gilmore Girls to help take my mind off some things. I’ve also been lucky to have some rad stuff going on, such as a friend from out of town coming through and meeting up with her one afternoon. So how does Her Universe fit into this? 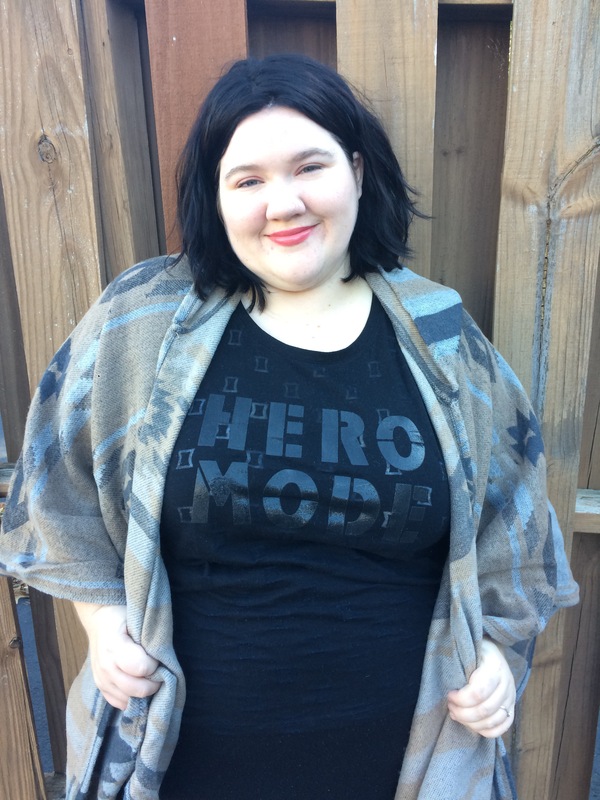 The Hero Mode shirt from their Kohl’s work out collection from this past fall has helped with this self care and has added some confidence to my days. I’ve worn it a few times this week and it’s helped me to realize that I can be someone as awesome as Black Widow and power through and be the Hero for us. It’s helped me keep my head up and try and be as positive as I can. So, here I am, staying Hero Mode and getting through everyday the best I can. And that’s totally good. Nothing going on is so serious that it can’t be handled. And I feel so much better knowing and remembering that. Thanks for the confidence boost, Ashley Eckstein & all the Her Universe team!